Fresh install of Windows 98SE. Laptop is in good clean condition. Can also be used for car garage or industrial use as heavy duty and has parallel ports. Sound, Video, Network and all other drivers installed and tested. Collection station availableType: Notebook/LaptopBrand: ErgoProcessor: Intel Core i5 1st Gen.
ERGO ENGAGE 271. Hard Drive 500 GB. Open Office- Good For Word Processing, Spreadsheets, Presentations, Graphics, Databases and more. VLC Player- Good For Watching Movies. Optical Drive DVD RW. TITLE WILL GO HERE. Type: Notebook/LaptopBrand: ErgoProcessor: Intel Core i5 3rd Gen.
Ergo W76C Laptop. eSATA USB Network Ports YES. VLC Player- Good For Watching Movies. Hard Drive 160 GB. Optical Drive YES. The warranty does not cover battery life. Microsoft Security Essentials- Antivirus Product for Protection against Viruses, Malware and Trojan Horses. ERGO Hardcase S15S Laptop in great working order. 4GB DDR3 RAM. Ethernet Port. 80GB Hard Drive. Battery Life. 15" Widescreen. Ending Soon. Item Pictures. 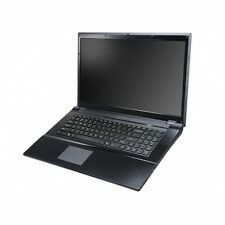 Type: Notebook/LaptopBrand: ErgoProcessor: Intel Core i3 1st Gen.
Ergo Engage 271 W252EU. ComputeUK - Suppliers of new and used Computer and IT related products. Hard Drive. Optical Drive. All The Batteries Have No Battery Life. No (Requires 19 Volt 3.42 Amp Power Adapter). Ergo Engage 261 W252HU. Hard Drive. Optical Drive. Microsoft Windows 7 Professional & Microsoft Security Essentials. Software Installed. Yes (Supplied With Power Adapter & Power Cable). Power Adapter. ERGO Tabula Tab 202 Tablet Computer laptop Notebook. Expansion: 1 x SDHC CARD slot, 1 x Sim Card slot. Versione sistema operativo Professional. Ports: 1 x mini HDMI, 2 x USB < span class = notranslate ' > 2.0, 1 x audio jack. All Boot but being sold as spares or repair. These are being sold as Spares or repair. CD Drive is missing its trim, however it does work. 4x Celeron M410 @1.46Ghz - 80GB HARD DRIVE - 1GB RAM. Ergo Laptop Model M767T as seen . No he’d ram or caddy. No return or refund as seen . Ergo Ensis L4500R Condition is For parts or not working! No charger included! Postage to U.K. Mainland only! For postage outside U.K. Mainland, please contact me before buying/bidding! The above item is being sold as “Spares or Repair”, so “NO” Warranty will be applied to the product. Includes Hard Drive Cover / Caddy Manufacturers Part Number Top Casing Condition Bottom Casing Condition.